They said a 6 x 60 cigar was crazy, they called the 7 x 70 madness, but there may only be one way to describe the new 8 x 80 cigar by Casa Fernandez - Lunatic! In today's cigar market, brands continue to push the envelope of cigar craftsmanship, and Casa Fernandez is leading the pack with the new JFR Lunatic. Not only is this one of the only cigars in its weight class, it just may be the first of its kind to be rolled with a stunning Belicoso cap! 'How does this benefit me?' you may ask yourself. Short and simple - not many cutters can handle a ring gauge of this magnitude... Additionally, you'll have the ability to cut the size of your choosing, concentrating the massive smoke output directly onto your palate, making for a better, tastier smoking experience! 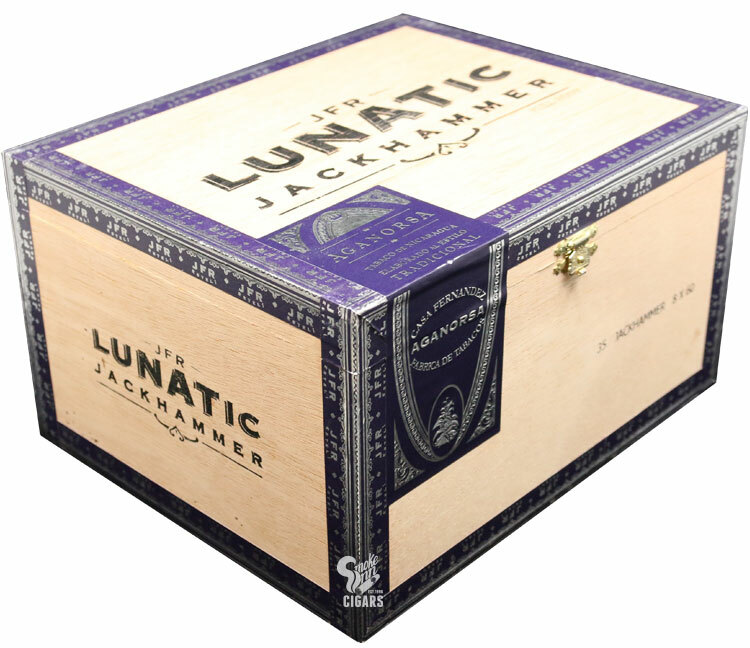 The new JFR Lunatic is blended at the prestigious TABSA factory in Nicaragua using a Mexican San AndrÃ©s wrapper over Nicaraguan fillers, making for quite possibly the most satisfying mega-cigar you'll find. Now all you need is to find a solid four hours to set aside to tackle this beast!